Start with a good car wash! This is a key aspect for upcoming steps and it will also give you the chance to inspect any “problem” areas before winter. Clay bar the paint surface. After the car wash this allows you to get any additional grit off of the paint so it doesn’t stay on the car any longer than it already has, especially going into the winter as leftover grime will make the spring cleanup that much harder. Apply a good coat of wax that has more emphasis on durability and protection rather than shine. You are about to go into one of the worst driving seasons and, although you want your car to look its best, it’s more important for it to have long-lasting protection because it is quite possible that you will go weeks between car washes. Thoroughly clean your tires and wheels. You are going to want to use a high-quality wheel cleaner as well as a tire cleaner with proper brushes to get a deep clean. Once the wheels are clean it’s a great idea to put a coat of wax on them (you can use the same wax you used on your car to give them a layer of protection). Applying a quality tire coating to the rubber will give you great protection and, although it will not last you for the entire winter, can last you up to six weeks with proper cleaning of the tire to get all the grease and grime off of them. I suggest applying two coats of the tire coating to the tires with about a 15 minute interval in-between. It may not be detail-related but it is very important to have your car ready for whatever Mother Nature throws at it. There are a few things that you are going to want to do to ensure a great winter driving season. I believe that the most important item for your car during the winter is your tires! If it is affordable, you really should look into investing in a set of winter tires. Winter tires are made out of a special compound that keeps the rubber pliable at temperatures below 45 degrees. 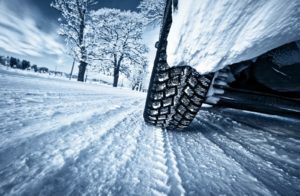 If you cannot afford to have a set of winter tires on a separate set of wheels then you’ll want to make sure that your all-season tires are up to the task. This will mean inspecting the tread depth and how they are wearing for you. The next thing that you are going to want to do is have your car’s oil changed during the fall. I highly suggest using synthetic oil because of how well it flows compared to conventional oil. 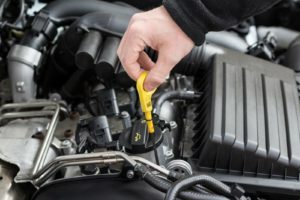 Nights where it drops down to zero degrees you will want to turn the key and have that fresh oil flowing quickly and synthetic oil will enable you to do just that. Before winter, use a fuel injection cleaner so everything is running at its peak performance. You always want your fuel injectors working as they should be and that’s even more important in the winter. Top off your washer fluid with a solvent that can cut through the muck that will definitely end up on your windshield. Last but not least, for those who will be storing their collector or classic car during the fall and winter, I highly suggest using a fuel stabilizer that will keep your fuel fresh while your car is in storage. If you follow these easy steps to winterize your car, you’ll be more than prepared for anything this upcoming winter has to throw at you!